HEMA is the acronym for Historical European Martial Arts, also known as Western Martial Arts (WMA), or, less accurately, as Historical Fencing, which doesn’t cover the breadth of disciplines. HEMA is the study and practice of martial arts from historical periods as far back as the early Medieval (Norman Conquest) through to the most recent around the turn of the twentieth century. It encompasses sword play from arming swords through longswords, rapiers, sabres and smallwords; to battlefield weapons including axes, polearms, spear and staff; to unarmed combat including wrestling, pugilism and Bartitsu. The many weapons and styles includes those from the Baltic to the Black Sea and the Scandinavian North, all the way to the Eastern Mediterranean. Texts and manuscripts from the Medieval, Renaissance, or post-Renaissance eras serve as the primary source material. Often transalated from original Italian, German, French or Spanish, with some English texts, these partial sources are constantly re-constructed and re-interpreted by academics and practitioners to rediscover fighting skills and styles as they would have been used. Treated as the study of combat skills in the same way as the many contemporary Eastern martial arts, HEMA is a serious attempt to understand and revive combat systems that may have evolved into modern forms or lapsed altogether. 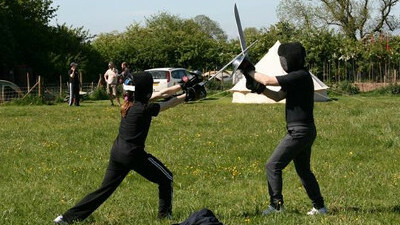 HEMA is not a fantasy activity like LARP (Live Action Roleplaying) – there are no elves or dragons; nor is it historical re-enactment – although some practitioners like to dress in period clothing in order best feel the full experience of training and fighting in clothing and footwear contemporary to the skills being studied. HEMA students study the past but do not pretend to be in the past. Theatrical stage fighting that may draw on historical combat but is primarily concerned with dramatic and aesthetic effect. Combat sports, such as Olympic fencing which evolved from Historical European Martial Arts but are practised as highly formulated sports with extensive rules of competition using safe, lightweight weapons. Role-playing entertainments which draw inspiration from historical material, but wrap some educational material in showmanship. HEMA remains a martial arts activity, not a simulation. 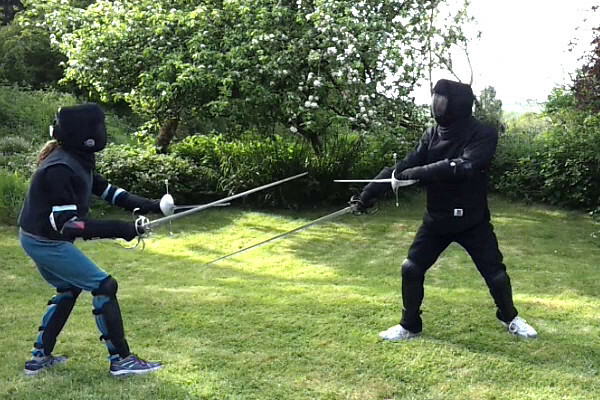 Safe training and sparring is a primary concern – see our post HEMA – is it safe? There is a good introductory article on HEMA at Wikipedia, and you can find many institutions and clubs online covering a vast range of material. You will also find a huge amount of video online, both by recognised experts and by enthusiasts. The quality of this material varies widely in authority and interpretation.